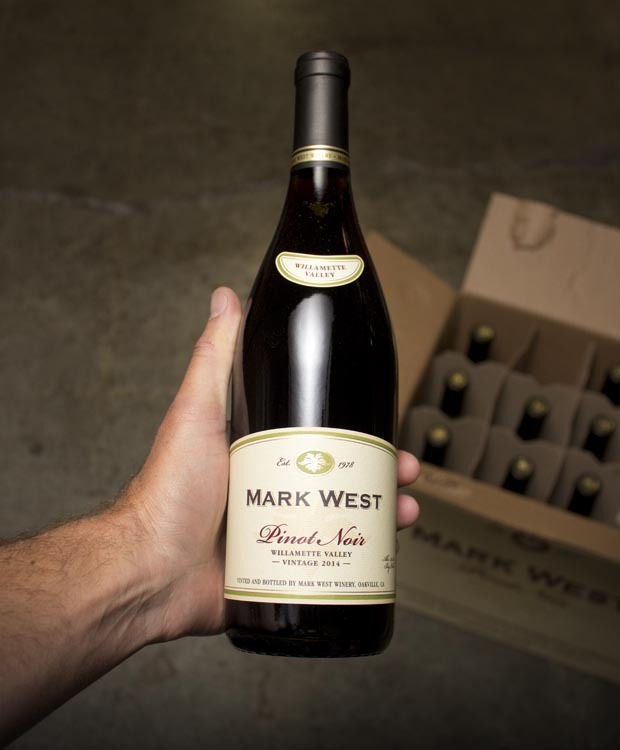 Pinot Deal of the Year??? Dang straight!! WOW! Snag it quick --- there’s not as much as we’d like!! Boom shakalaka -- what a COUP! We’re not going to tell you HOW we pulled this amazing buy off (surely it was our good looks, right? ), but suffice it to say….back up the truck! And then back up another one! Crazy price. Delicious, fresh, bright, succulent pinot! Priced to drink a bottle or two every day! Right?? Seriously, though, besides the planet-crushing price, this was just SINGING on our tasting bar last week. Sweet cranberries, cherry PEZ, roasting coffee beans and clove/allspice all are jumping out of the glass on first whiff, and all that carries into the mouth. Perfect weight, silky, elegant texture, light on its feet and ready to be consumed in large quantity anytime, anywhere. For example…..we put it in our thermos last weekend on a mellow 6-mile hike. Fresh and exhilarating as the morning breeze. THE PRICE!! It is simply unheard of! Anyway...it’s probably already gone if you read this far….